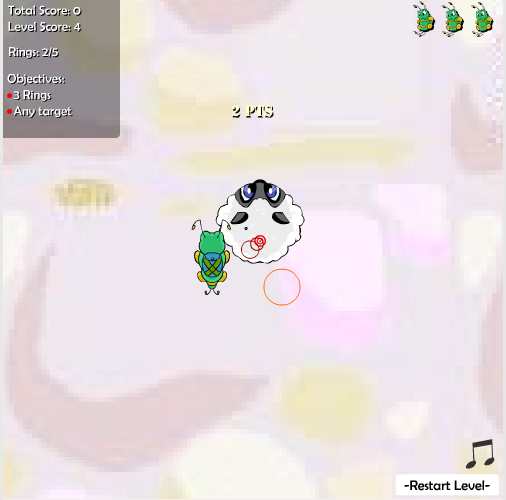 Mootix Drop is an easy and fun game where you control a Mootix through rings and land on a target on a Petpet. Mootix Drop has two game modes: Missions and Single Drop. A mission is where you need to complete multiple levels of the game. Single Drop is where you need to collect all the rings and collect targets in levels you have completed while doing missions. If this is your first time playing, the Single Drop mode will be locked, and you can only play on Easy. Use the arrow keys to move your Mootix around the screen and through the rings in the level. You will get two points for going in the ring, and four if you enter it right in the center. When all the rings have flown past the screen, the Mootix will have a parachute. You need the Mootix to land on the target as close to the center as possible. Your score from the rings will be multiplied by the multiplier to get your level score. (Note: The small targets offer higher multipliers than the large target). If you're playing on a mission, you move to the next petpet on the mission. On Single Drop mode, you collect the target if it's the first time landing on that particular target, and get the option to send score. Mootix Drop has several codes that allow you to play the levels differently. Most of the codes are pointless, or makes the game harder, but they are amusing to say the least. On the screen that tells you the petpet you're on before you start the level, press up or down. You will see an icon in the bottom right corner. Use the up and down keys to change the icon in that column, and right/left to change columns. Make the following combinations for certain effects. Note that the code entering in the game is glitchy and might not work all the time. 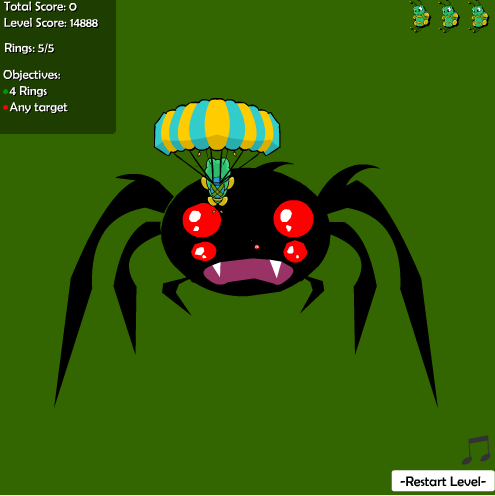 + + Start off with 8888 points, with rings worth 1000 points (2000 in the center), but once you get into parachute mode, you fly up and up and up, as an endless level. Have fun, and good luck dropping those Mootix!